Voice machine Charles Martinet is to be signing boxes and going generally mental at the UK Mario Galaxy 2 in London, Nintendo said today. Oxford Street game will be hosting in the event on the evening of Thursday, June 10. Martinet will be signing games and allowing people to touch him in the name of photos. It’s going to be crazy. PR below. 3 June 2010 – To celebrate the launch of the hotly anticipated Super Mario Galaxy 2, Nintendo is hosting an exclusive midnight store launch at GAME, Oxford St, London. Fans will not only have the chance to meet Charles Martinet – the voice of Mario, but they will also be the first in Europe to get their hands on one of the most critically acclaimed games of all time when it goes on sale! Mario mania will hit the UK on the evening of Thursday 10th June as fans across the country are invited to meet the legendary voice behind Mario. The first 50 to attend the London launch dressed as Mario will also snap up an exclusive Super Mario Galaxy 2 goody bag filled to the brim with exciting Mario treats. Once inside the store, fans will be amongst the first in Europe to play what is set to be the highest scoring video game of all time* and meet the man behind the iconic voice of Mario. 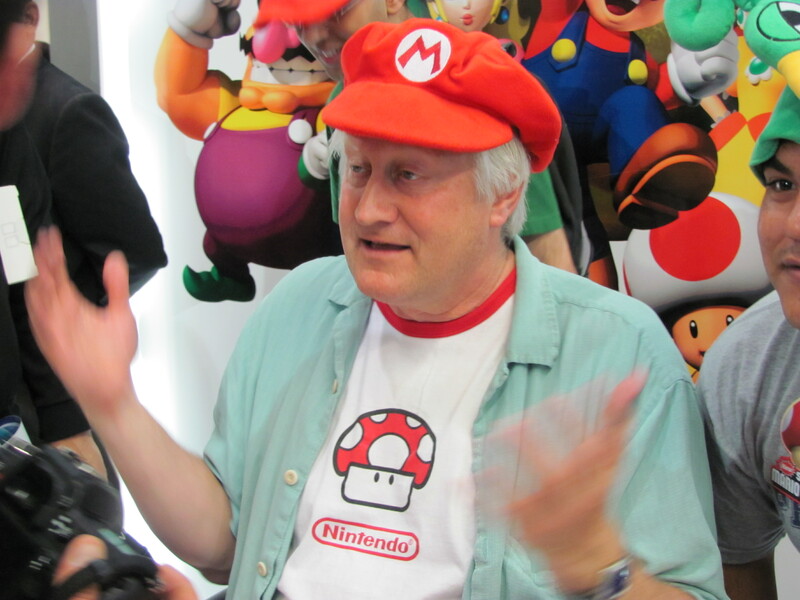 Charles Martinet will be signing copies of the game and Mario merchandise and super fans can even get their photo taken alongside Charles as a memento of the evening! So whether you’re a lifelong Mario fan or new to the exhilarating world of Mario, come down and get involved in the Mario mania. Entrance is free and people of all ages are encouraged to come down to GAME, Oxford Street, London dressed as Mario to join in the fun when Super Mario Galaxy 2 goes galactic!